Make All Your Designs Better! "Premium High-Res Backgrounds" is a collecton of 5 different sets of backgrounds in all kinds of different styles and colors. 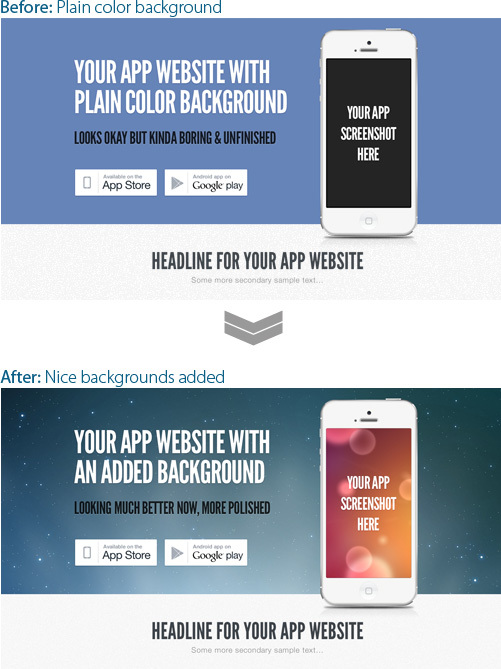 You'll get everything from graphics heavy "cinematic" backgrounds to simple and "sleek" backgrounds. What ever your needs are, chances are you'll find a nice background image in this collection. As you can see, these are really professional graphics. A lot of care and attention to detail went into their creation. The quality of these graphics is what makes this package different from most other similar packages out there. So even if you already have a graphics library, this will make a great addition. 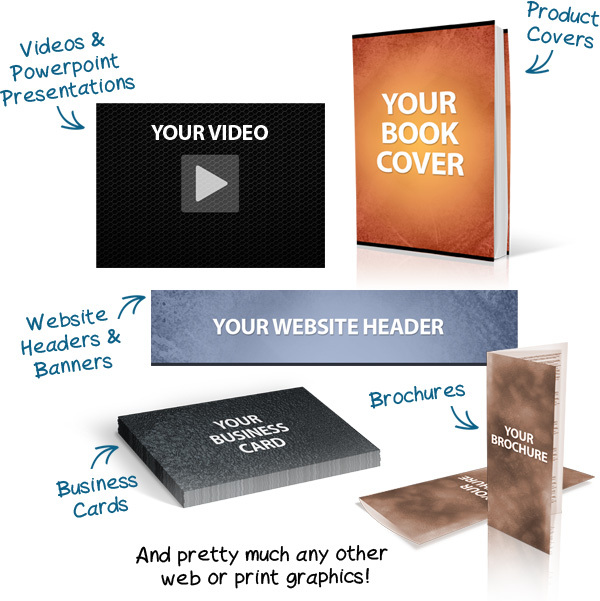 All Of These Graphics Come In Both Web-Ready JPEG Format & Layered PSD Source Files. There's hundreds of different ways to customize these graphics. So you can use them as is, and have a nice design ready to go in minutes, or you can customize them and create your own unique designs. And if you don't have Photoshop, you also get web-ready JPEG files that you can quickly copy and paste into your designs. These JPEG files come in 2 sizes: High Res 3,000 x 2,000 pixels and Powerpoint size of 1,024 x 764 pixels. How does this compare to stock photo sites? There are other places to get similar background graphics. But, let me tell you why THIS is a great deal. First of all, the royalty free sites usually give you a flat JPEG image of the design, so you can't customize those graphics. I give you both the JPEG files AND fully customizable layered PSD source files. So you can mix and combine different effects to create literally thousands of different design combinations. That's much better than just getting a flat JPEG image. Second, the price per image on most royalty free sites is usually $1 - $10 PER image. And that's from the cheaper sites like iStockPhoto. There are other more premium sites that charge $25 - $100 PER image. And again, that's for flat JPEG images that can't be customized. Third, some sites have a one time use license. So you can only use the image on one design, and then need to buy another license if you want to use the image more than once. With my package you get royalty free and unlimited use rights to the whole collection. That means you can use the graphics on as many designs as you want. So this is a great deal here. 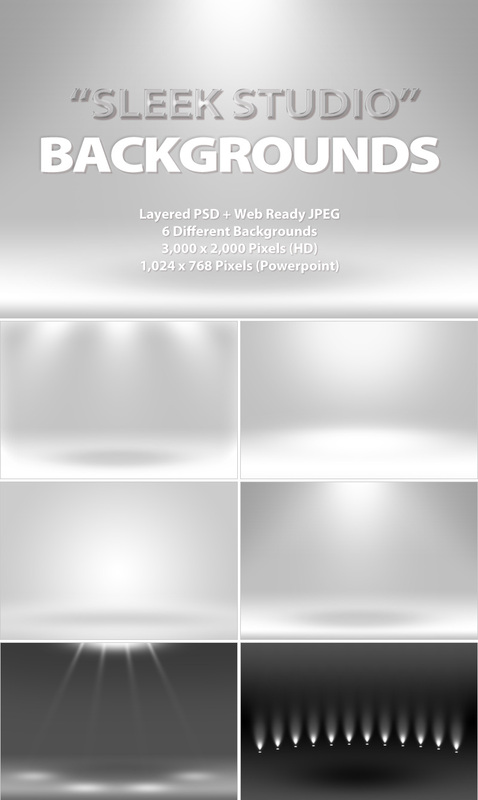 You get 5 different sets of high quality background graphics, for one low price. You also get layered PSD files so you can customize the graphics fully. AND you get royalty free unlimited use rights to the whole collection. A simple one-time payment of just 17€ gives you instant access to this product. You'll get your download link automatically after you make the payment. Try the product for 30 days, and if you're not satisfied just send me an email and I'll send you a refund. So there's absolutely no risk on your part. All the risk is on me.